It's official: Kyle Busch can win everywhere. Busch marked off the only track where a points-race victory had eluded him Sunday night, leading 377 of 400 laps in the Coca-Cola 600 at Charlotte Motor Speedway. Busch is the only driver in NASCAR's modern era to win a points race on every NASCAR track on the schedule. The State Bureau of Investigation is looking into the fatal police shooting of a man on Friday night northeast of downtown in Winston-Salem. 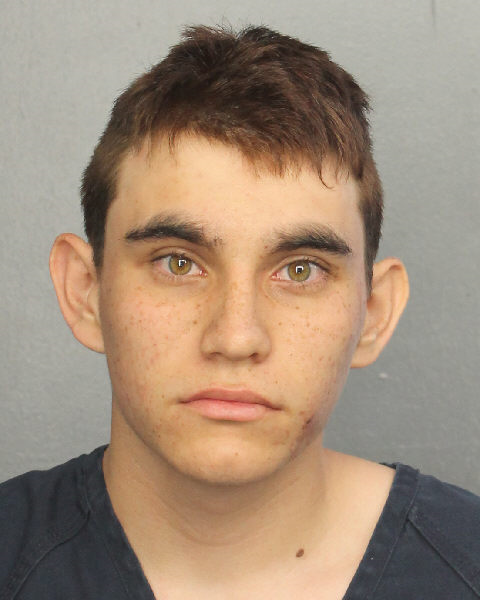 MIAMI — Documents show some officials were so concerned about the mental stability of the student accused of last month's Florida high school rampage that they decided he should be forcibly committed. But the recommendation was never acted upon. BENTON, Ky. (AP) — A 15-year-old student opened fire with a handgun inside his rural Kentucky high school Tuesday, killing two classmates, injuring 19 others and sending hundreds fleeing for safety. Police were seen leading a teenager away in handcuffs. It was the nation's first fatal school shooting of 2018. Detective Mike Doty, one of the four officers shot in York County this week while trying to arrest a domestic violence suspect, has died. York County Sheriff Kevin Tolson made that announcement on the department’s Facebook page. Federal judges ruled Tuesday that North Carolina's congressional district map drawn by legislative Republicans is illegally gerrymandered because of excessive partisanship that gave GOP a rock-solid advantage for most seats and must quickly be redone. WASHINGTON (AP) — Attorney General Jeff Sessions is rescinding an Obama-era policy that paved the way for legalized marijuana to flourish in states across the country, creating new confusion about enforcement and use just three days after a new legalization law went into effect in California. 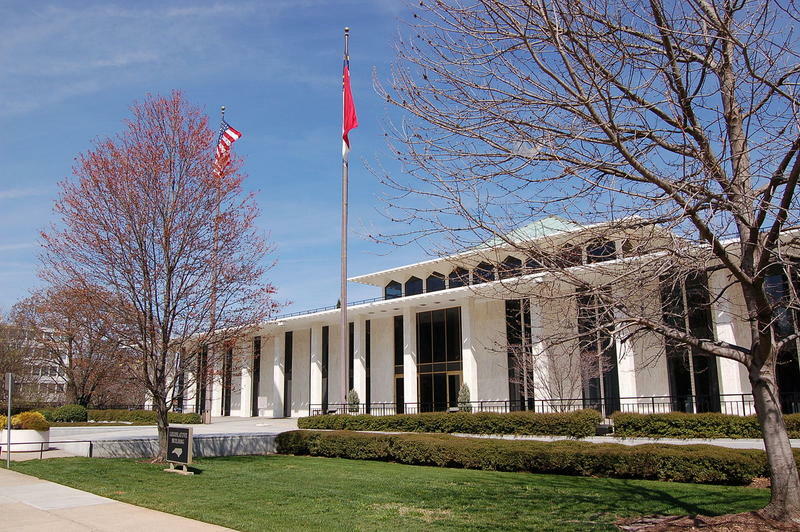 Attorneys who previously worked for the UNC Center for Civil Rights have set up a separate law practice and have acquired the former caseload of the center, which is now prohibited from litigating cases. The Durham Herald-Sun reports that Mark Dorosin and Elizabeth Haddix have opened the Julius L. Chambers Center for Civil Rights. 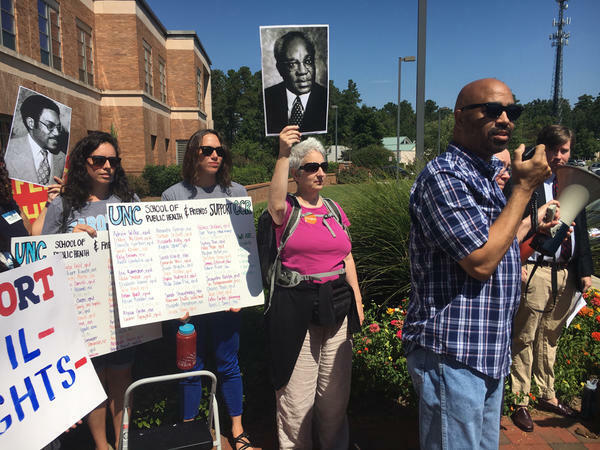 It’s named for the civil rights attorney and the first director of the UNC center, which was founded in 2001 to help the poor and disenfranchised. WFAE's Alex Olgin reports on the former North Charleston Michael Slager's sentence. CHARLESTON, S.C. (AP) — A white former South Carolina officer was sentenced to 20 years in prison on Thursday for fatally shooting an unarmed black motorist in the back in 2015, wrapping up a case that became a rallying cry for the Black Lives Matter movement. WASHINGTON (AP) — The Supreme Court is allowing the Trump administration to fully enforce a ban on travel to the United States by residents of six mostly Muslim countries. The justices, with two dissenting votes, said Monday that the policy can take full effect even as legal challenges against it make their way through the courts. The action suggests the high court could uphold the latest version of the ban that Trump announced in September.